We invite you to try FFL Tools FREE for 30 days. We think you will agree, FFL Tools is Simply the Best FFL Management Software! Because we are a licensed FFL, we know firsthand the frustration, the redundant effort, and the wasted time that is required to stay in compliance with the authorities. 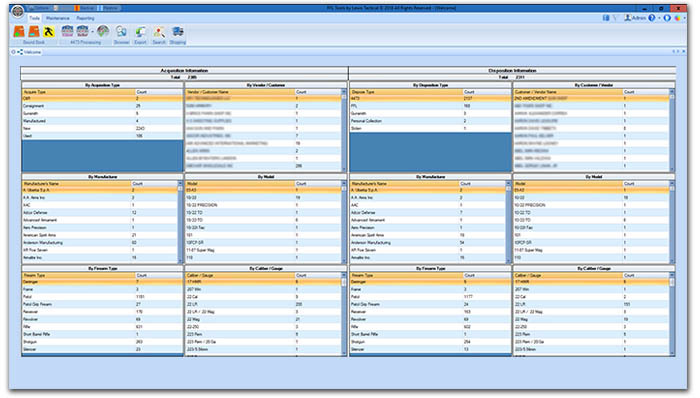 We also discovered that while there are many options for FFL software on the market, they are either too basic or overly complex and difficult to use. That's why we developed FFL Tools. 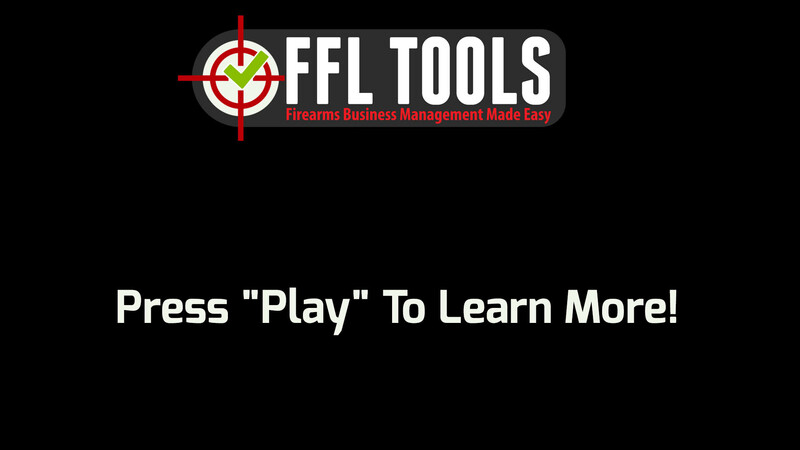 FFL Tools is the easiest, most comprehensive electronic Firearms Acquisition and Disposition system available. It simplifies, digitizes, and streamlines your workflow. But don't take our word for it; try it for yourself by downloading your FREE, Fully Functional, 30 Day Trial copy of FFL TOOLS. ". . . Amazing software! 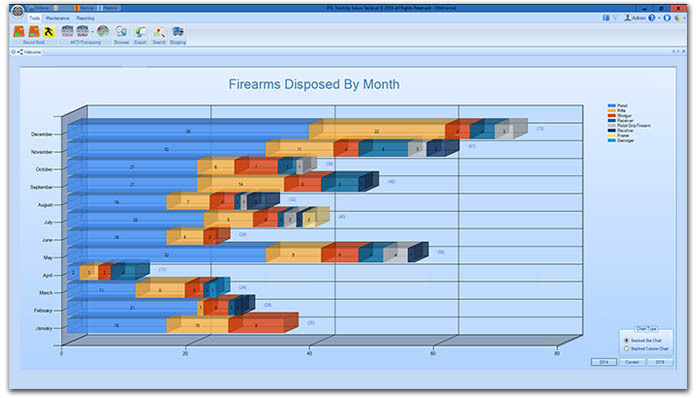 Only an FFL could understand our complex world and come up with such simple to use software as FFL-TOOLS . . . ."
". . . I have been using FFL Tools since February 2014. I am not computer savvy, but the ease and simplicity of FFL Tools makes my business run smoother and more efficient. . . . ."
". . . Great software and even better support. The guys at Lewis Tactical made the transition from paper to software relatively painless. The software is intuitive and easy to learn. . . ."
". . . There is NO other FFL software that even compares and we have spent THOUSANDS of dollars on software over the years! This is by far the BEST!! . . ."
". . . FFL Tools has done an excellent job including many automated functions throughout the software which decreases the data input and streamlines the entire process. If you are an FFL dealer thinking about moving towards electronic record keeping, look no further. . . ."
". . . Interface is clean and intuitive. Backups are painless and status is visually available at all times. Using the software is almost fail proof . . ."
". . . We just started using the Topaz unit and WOW that is amazing and super handy! 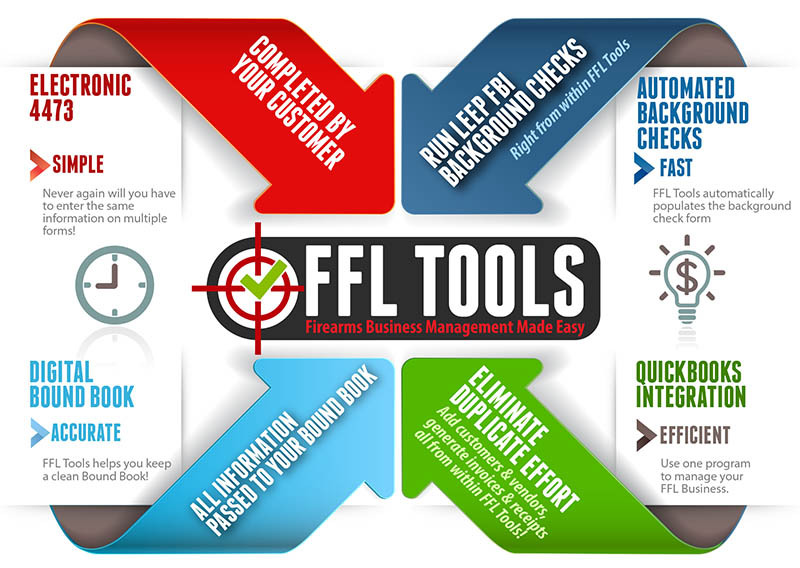 Try FFL-TOOLS, you wont look back! Two BIG thumbs up! . . ."
". . . Not only is FFL_Tools the Best FFL Management Software, their support is the Absolute Best I've found anywhere. They go above and beyond the norm... as I can attest. I had a problem with the 4473 Client connecting right before the auction was about to begin! Mr. Lewis worked on the issue while I started the auction. By the time the auction was finished my problem was FIXED! Thank you for an excellent software program and service to match. . . ."
Walk Into Your Next ATF Audit with Confidence! Audit. With data verification in the Acquisition and Disposition processes, and the electronic creation of 4473s and other required ATF forms, FFL Tools helps to eliminate errors in your Bound Book. 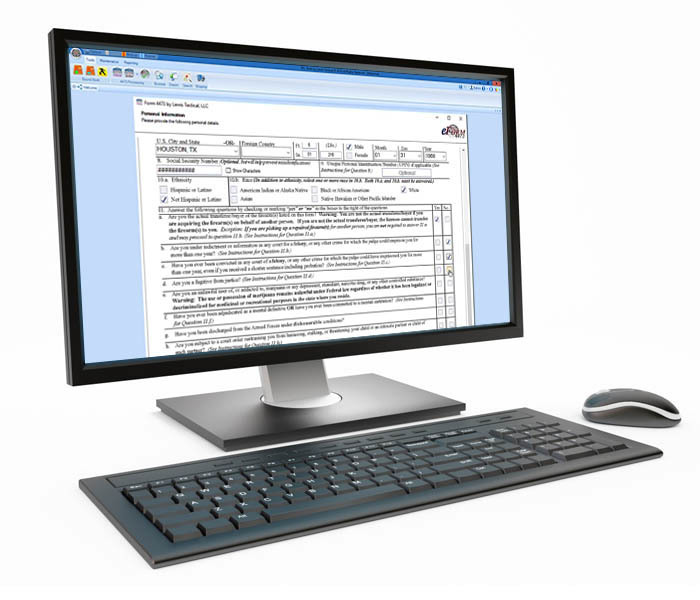 With the Inventory report, multiple Bound Book views, and the Quick View report, FFL Tools provides all the information an ATF Auditor will require. 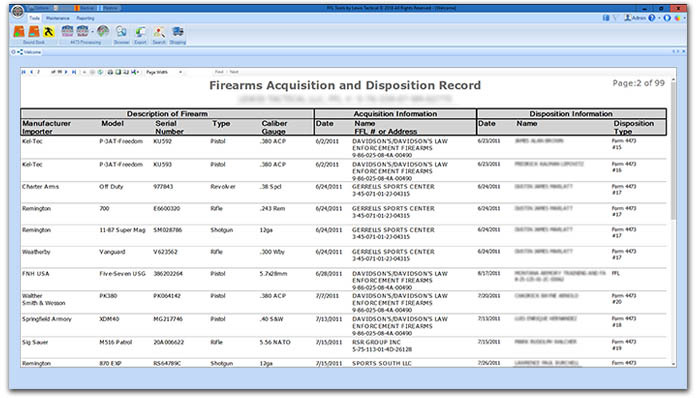 FFL Tools fully integrates and automates the completion of the 4473 and FBI NICS Background Checks. Never again will you have to manually enter the same information on multiple forms. Your customer simply completes and signs an electronic 4473 on a work station you provide. With a double click of the mouse the information from the 4473 is populated into the Background Check System for processing. FFL Tools streamlines, simplifies, and expedites your workflow from the moment you acquire a firearm all the way through to disposition. And, when you add the QuickBooks Expansion Pack, all necessary data is passed from FFL Tools into QuickBooks Desktop so you can create invoices, sales receipts, inventory reports and more. Convenient and Low Cost Options!